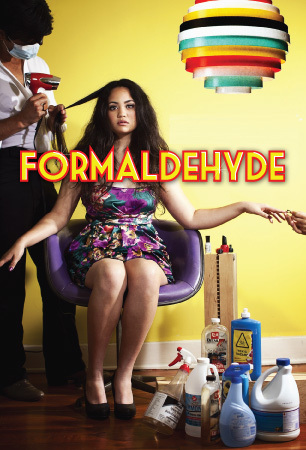 Formaldehyde is a seasoned performer but she still has the goods to deliver toxins around the world. Used for 150 years in embalming fluid, adhesive, fungicide, germicide and disinfectant, she has turned what should have been the twilight of her career into a resurgence. She has been tapped to appear in many common products, including particle board used for certain cribs and changing tables, paints, cleaning supplies, and some beauty products such as nail polish in which she shines as a member of the “Toxic Trio” and brazilian blowout. Depending on her specific role, Formaldehyde is an acting chameleon, having been linked to asthma and various types of cancers. A true classic, her name has long graced California’s Proposition 65 List. If it doesn’t make you cough, sneeze, or feel nauseous, it might cause cancer! The World Health Organization’s International Agency for Research on Cancer (IARC), has classified formaldehyde as a known human carcinogen, associated with nasal sinus cancer and nasopharyngeal cancer. A recent review of studies has shown a strong association between exposure to formaldehyde and the development of childhood asthma. Recent studies have also shown a positive correlation between exposure to formaldehyde and the development of leukemia, particularly myeloid leukemia. A study on Finnish women working in laboratories at least 3 days a week found a significant correlation between spontaneous abortion and formaldehyde exposure, and a study of Chinese women found abnormal menstrual cycles in 70% of the women occupationally exposed to formaldehyde compared to only 17% in the control group. Russian schoolchildren were more likely to suffer from asthma, wheezing, or allergies when exposed to new linoleum flooring, synthetic carpeting, particleboard, wall coverings, furniture, or new paint. Ready for a blowout? In August 2010, Procter & Gamble Co. pulled Brazilian Blowout products from its Frédéric Fekkai salons after the company’s own tests showed they contained formaldehyde. In October, the Oregon Occupational Safety and Health Division found average formaldehyde levels of 8% or more in two products in the Brazilian Blowout line—far exceeding the agency’s 0.1% threshold for disclosure of the ingredient. In 2011, Formaldehyde was added to the “Minnesota Priority Chemicals List” because it is known to be a carcinogen that is a high production chemical, and is also found in the human body, the home and/or the environment. As of 2009, the CA Air Resources Board has been requiring wood product manufacturers to meet new, stringent formaldehyde emission standards for hardwood plywood, particleboard, and medium density fiberboard panels. A federal law passed in 2010 limits the allowable amount of formaldehyde emissions from these same wood products to .09 ppm, a standard which companies will have to meet by January, 2013. Keeping it close — Senator David Vitter (R-Louisiana) and the Formaldehyde Council, Inc., an industry group of producers and users, including manufacturers of pressed wood products such as plywood and particleboard, often held together with glue containing formaldehyde. Many of Vitter’s 2009 re-election contributors are among the top formaldehyde emitters: Monsanto, Exxon-Mobil, Down Chemical and the American Forest and Paper Association. The latter two are members of the Formaldehyde Council. Koch Industries produces Formaldehyde in great quantities and they have been lobbying the EPA to prevent its classification as a “known carcinogen” in humans. The Toxies (c) Copyright 2010 - 2015 by Physicians for Social Responsibility-LA and Californians for a Healthy and Green Economy.